November…the time to give thanks! 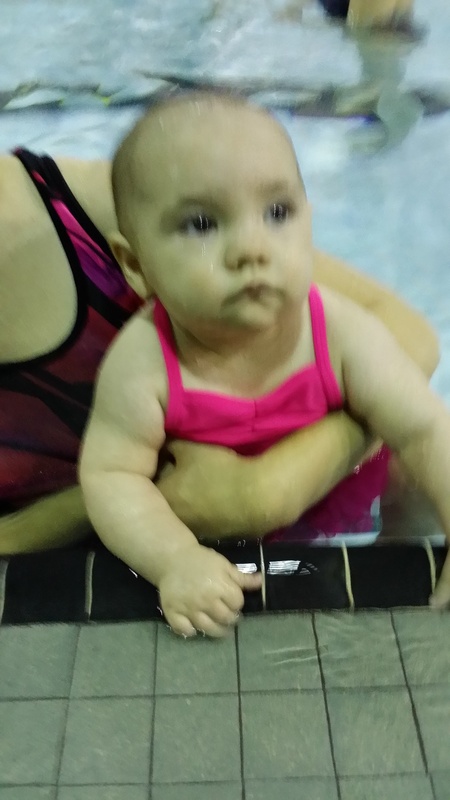 PJ Sharon here, and it’s been a crazy busy month–what with editing HEALING WATERS, finishing up my Christmas novella, and taking my sweetpea to baby swim classes. Have I mentioned that I LOVE being a grammy? The good news is that everything is coming together. 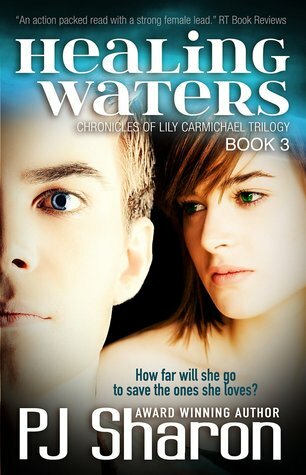 HEALING WATERS, book three in the Chronicles of Lily Carmichael trilogy, is now available for pre-order and set for release December 23rd! For those of you who can’t wait for this final installment, I’m offering a Goodreads Giveaway of three signed copies (Giveaway starts tonight at midnight). Enter below between Nov. 13-Dec. 15th, or pre-order it now to make sure you have the ebook before Christmas! Speaking of Christmas, I’m putting together this nifty box set. Sami’s Christmas Wish List (a brand spankin’ new 30k novella) ties together all the characters from Heaven is for Heroes, On Thin Ice, and Pieces of Love in one heartwarming Christmas story. Since all the girls hale from the same fictitious CT lake town, the box set is aptly named The Girls of Thompson Lake. I’ll be sure to let you know when it will be on sale! I guess that’s it for now. Back to work. But don’t think I won’t be enjoying the Thanksgiving pie this month. I’m grateful for countless blessings, as always…family time and pie nearing the top of the list. 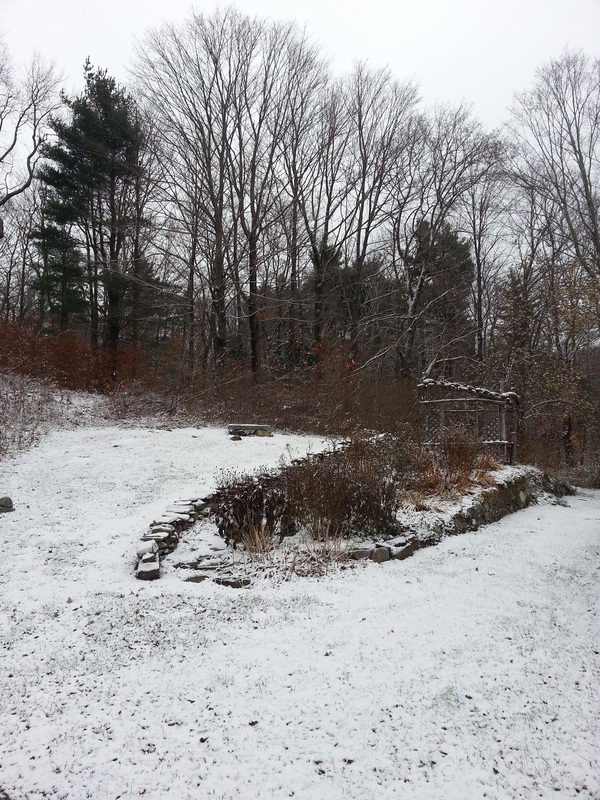 Good day, PJ Sharon here, coming to you from the snow-carpeted Berkshires. The first snow fall is always so pretty. I have a couple of questions for all of you. Do you listen to audiobooks? How do you listen to them? And where do you find them? Best seller’s lists? Specific authors/narrators you love to read/hear? Let’s chat. I’ll confess that I’ve only listened to a few audiobooks–and always in the car with a tangible CD (or 29 CD’s as is the case for OUTLANDER which I’ve listened to five times). I’m afraid I haven’t made the leap to the next technological step in the evolution of how we read books and hear stories–digital audiobooks. As in–downloaded them onto my i-pod touch or my android phone, or listened to them directly from my computer. As hard as I try, I’m still resistant to learning/using new technology. I often feel as if I’m being dragged forcibly into the future. I’m trying not to scream too loudly about it since I know that many people are having great success with audiobook sales. According to the world of publishing, audiobooks are in. Bob Mayer admits to having spent over $35,000 having all of his books turned into audiobooks, and I know Bella Andre thinks they are as untapped a market as the foreign marketplace. I’m pretty sure their audiobooks are selling…I’d love to ask them. Personally, I’m not seeing it. Maybe because I’m not on any best sellers lists or because I’m not out “finding my audience” as diligently as is needed, but I don’t see my readers buying audiobooks. Whenever I mention that my book is available on audio, I’m asked where they can buy the CD so they can listen to it in their car. Um…sorry…no CD. These are friends and family I’m talking to, however–the folks like me who are always one step behind the latest tech trend. No problem, you say. You write books for teens, and teens in general are glued to the latest and greatest electronic devices. Surley, they must be listening to audiobooks. But once again, they don’t have the buying power of adults. And let’s face it, none of them is likely to spend $17.95 on a digital download of a book unless it’s someone they really want to read/hear. When I decided to dabble in the realm of audiobooks, I figured I would start with a book that had universal appeal. Many adult readers loved HEAVEN IS FOR HEROES for it’s sweet military romance, family drama and Thanksgiving theme. It seemed like the right story for an audiobook audience. You can hear a sample of Erin Mallon’s awesome narration of HEAVEN IS FOR HEROES here. Just click on the little “listen” arrow beneath the cover picture on the sales page. With companies like ACX (Audiobook Creation Exchange), it’s much easier for authors to have professionally produced and fabulously narrated audiobooks. ACX offers two plans. You can either pay up front, which will likely cost you between $1,500-2,000, depending on the length of your book (mine was 78,000 words and would have cost me $1,000). Or you can do a 50/50 royalty share, where you pay an upfront cost (usually half) and then split the royalties until the complete cost of production is paid and I’ve sold a certain number of copies, at which time, my royalty rate increases.. Basically, I paid $500 for an awesome narrator who I found on the ACX site, and I split the royalties. It comes out to a nice little chunk of the $17.95 per copy price through Amazon, Audible, or i-tunes. If you want to read more about ACX and how it all works, the WG2E has several excellent posts here. On the consumer’s side, If you’re an avid audiobook fan and decide to become an Audible Member, which is around $14.95/month, you’d get the $17.95 price point OR you can use the 1 Credit you get each month and download the book for FREE–or even gift it to someone else. You can also purchase the file from Amazon and get it FREE with a 30-day Audible Trial Membership. Now, the other difficulty I find with audiobooks is getting people to review them. 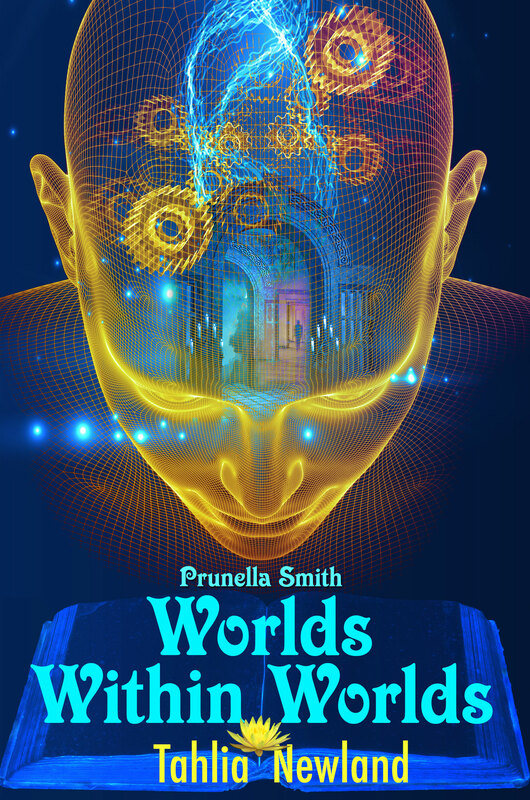 I don’t know if people who have bought the book have downloaded it and simply haven’t listened to it yet, or if they aren’t inclined to leave reviews on audiobooks. Either way, I can’t even give a copy away to get an honest review. ACX provides five free download codes to give out to reviewers or as giveaways, but finding reviewers for audiobooks seems to be a bit of a challenge. It’s a market that is getting increasingly flooded and some reviewers are backlogged for months. If anyone is willing to listen and review the book, I’d be happy to gift you a copy along with instructions on how to download from Audible, Amazon, or i-tunes. All I ask in return is that you give it an honest review. If anyone has any suggestions on where’s a good place to market audiobooks or how I can get some reviews, I’m wide open! I’ve even tried to join a Goodreads group of romance audiobook reviewers, but those groups are pretty persnickety about authors promoting themselves. If you aren’t part of the discussion every day, it’s not really cool to just jump in and ask for reviews. And since I hang around mostly with the characters in my head and not the characters on Goodreads, I haven’t found an “in”. I’d love to hear your thoughts on audiobooks. Questions are cool too–if you’re wondering about the process or have questions about working with ACX. I’d be happy to answer them. Have a lovely day! Thanks for the blog invite to The Seven Scribes, Katy! It’s great to be here. My debut novel, POWERLESS CONSENT, is available at: (Amazon, B&N, and SMP) Pop over to my website www.janetnash.com for details on my book. Here’s a little hint: You’ll never talk on your cell phone the same! I decided to skip the standard author Q and A and chat about Thanksgiving, my favorite holiday. So…Thanksgiving night, just before I slipped into my jammies and bellied up to my laptop, a flash of indigestion reminded me of how much I’d eaten. Turkey smothered in gravy, sweet potato casserole, crescent rolls slathered in butter, pecan pie…oh what a feast. Did I mention the second piece of pecan pie? Though decadent and yummy, my dancing taste buds weren’t the highlight of my Thanksgiving. What I savored most was spending dedicated time in gratitude. Ah, sweet gratitude is my favorite attitude. Thank you, Lord, for the opportunity to blog! Readers: What are you grateful for? Leave a comment for a chance to win a free copy of my book, Powerless Consent. Katy Lee here: Jan, you sure have blessed me with your post today! You put in words how I have felt all week. I used to work in retail and the term “Black Friday” was thrown around by the back-office managers trying to make sure they didn’t end in the red for the year. It has since become a publicly used term and now an annual event, usurping the day President Lincoln deemed a special day to remember all of our blessings. It seems only right to spend the next day paying those blessings forward. 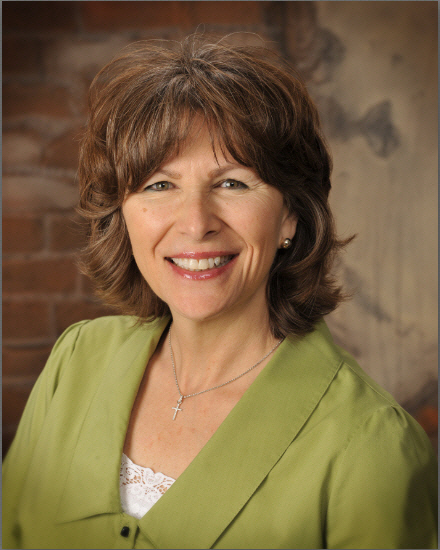 Jan, I am so excited to have you part of the Soul Mate Publishing family! Welcome! And READERS: Don’t miss Jan’s latest book, Powerless Consent. Don’t you just LOVE the cover? Check it out here. Kate Ballard thinks attending a gala on a luxury yacht honoring her old college friend will be the time of her life, but secret cell phone video threats to her family’s safety, and a hidden sniper force her into a world of deception and lies. Can her faith erase such horror? Though powerless, she relentlessly tries to outsmart her captor and return to the love of her life. Her husband, Tom, refuses to accept his wife’s decision to leave and discovers that he must revisit his past. With the help of an unlikely ally, he finds evidence of theft and murder tucked away in an old storage locker. When his investigation starts to uncover the truth, he struggles with whom to believe. Will he trust his heart, or the deception before his eyes? One thing’s for sure, nothing can stop him from reuniting his family, not even a force as great as Invisible Surveillance. Happy Thanksgiving, darlings! Suze here, writing to you from the deck of my cabin in the woods. I woke in time to see the sunrise over the lake. A flock of ducks just came in for a landing on the water below me. A bald eagle just flew past (I never, ever fail to be thrilled, no matter how many times I see them!). And if I’d remembered to set up the coffeepot last night, I’d be enjoying a cup right now, making it pretty much a perfect morning. We make our own electricity here and must be frugal with what we have, so it’s an old-fashioned top-of-the-woodstove percolator for us–no Keurig machine! I have so much to be grateful for, more this year than most, perhaps. So I’m making a Thanksgiving resolution: to live more mindfully and to practice gratitude in some form every day. That being said, I’m thankful for all of you, my friends! Now that the mushy stuff is over, how about a no-longer-secret recipe? I make my Black Friday stew every … Black Friday! I’ve never shopped on Black Friday, and don’t intend to (except maybe once as a bucket list kind of thing). It takes a while, but it’s easy, and it’s a great way to use up leftovers. Pick as much meat as you can off the turkey frame and refrigerate the meat. Get a big stock pot and put the frame in the pot, breaking it up if you need to. Toss in the wing tips, and any other bones that people didn’t gnaw on (legs, thigh, wings), as well as a quartered onion, a couple of bay leaves, a few carrots, a few stalks of celery, and a parsnip if you have one. Fill the pot about 2/3 full with water, cover, and put the pot on the stove. (I make mine on a woodstove here at the cabin). Bring the water almost to a boil, then lower the heat and simmer for several hours. Remove from heat and cool slightly. Strain out all the solids, discard, and return broth to the pot. (I find it works well to use two strainers—one with larger holes nested inside one with finer mesh). Stir to combine, and heat through (10 or 15 minutes is plenty). A few minutes before serving, add leftover turkey and heat for a couple more minutes. Ladle into big bowls, and serve with a green salad and a loaf of French bread (I’m a fan of the Pillsbury French bread, the kind that comes in a tube in the refrigerator section). Don’t forget leftover pie for dessert. This feeds a crowd! If you don’t have a crowd, freeze the rest. It’s nice to pull out a tub of homemade soup for a quick supper or lunch on a cold winter day.